Blaisdell, Tim and Urmston, Sr., Ed. 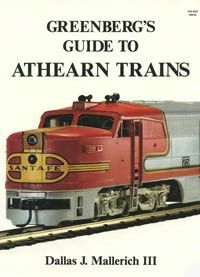 Standard Guide to Athearn Model Trains Iola: Krause Publications: 1998. Horan, George J. and Rosa, Vincent. 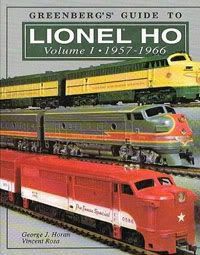 Greenberg's Guide to Lionel HO Volume I 1957-1966 Skyesville: Greenberg Publishing: 1986. Mallerich III, Dallas J. Greenberg's Guide to Athearn Trains Skyesville: Greenberg Publishing: 1987. McDonnell, Greg. U-Boats Erin: Boston Mills Press: 1994. 1957 Athearn Catalog. Los Angeles: Athearn, 1957. 1958-59 Athearn Catalog. Los Angeles: Athearn, 1958. 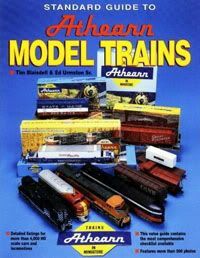 1959-60 Athearn Catalog. Los Angeles: Athearn, 1959. 1961-62 Athearn Catalog. Los Angeles: Athearn, 1961. 1962-63 Athearn Catalog. Los Angeles: Athearn, 1962. 1960 Lionel "027" Super "O" HO Catalog. New York: Lionel, 1960. Boyd, Jim. "Athearn's SW-?" Railroad Model Craftsman Oct. 1971: 46-47. 1971 "HO" Scale Catalog. Chicago: JMC International, 1971. 1975 HO Trainalog. Chicago: JMC International, 1974. 1975 Edition HO Railroad Catalog & Craft Train Reference Manual. Milwaukee: Walthers, 1976. 1978 Edition HO Railroad Catalog & Craft Train Reference Manual. Milwaukee: Walthers, 1977. 1980 Edition HO Railroad Catalog & Craft Train Reference Manual. Milwaukee: Walthers, 1979. 1982 Edition HO Railroad Catalog & Craft Train Reference Manual. Milwaukee: Walthers, 1981.